The Adenium is an odd looking plant – colorful, but looks right at home in a bonsai dish. It can really make a colorful statement! 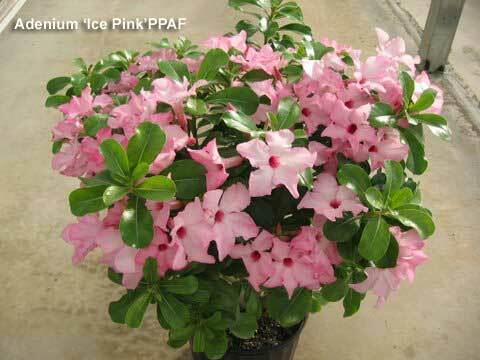 Like Hot Pink it is grown from virus tested stock which will produce a consistent looking and with a new color.